My maternal grandma died this afternoon. She was the last of my grandparents to go. 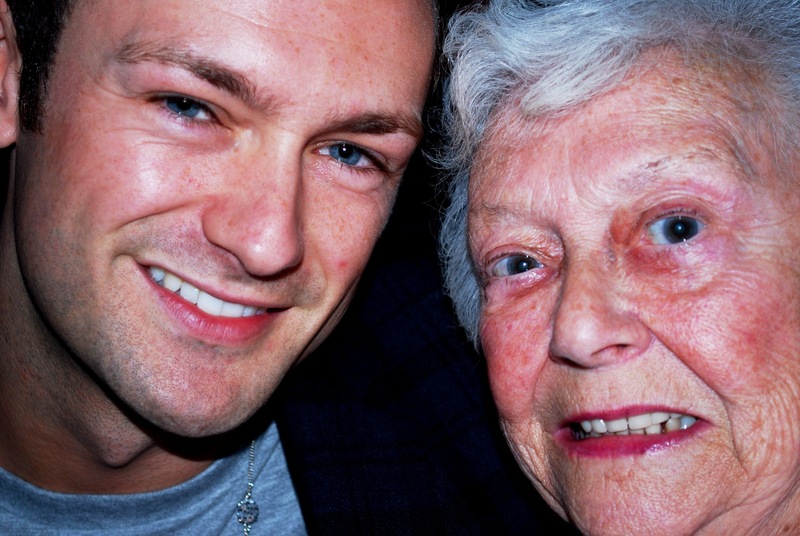 She was an incredible woman, an incredible grandmother and, most of all, an incredible friend. I worshipped her from the moment I was born and Desreen adored her from the moment they met. I’ll have so much more to say soon no doubt, but today I don’t even know how I feel. In a family immediately dominated by men, I’ve lost two of the three most significant women in my life in less than nine months. So all I really wanted to say for now is that if there is a heaven, I know that Dessie will be ordering herself and my grandma gin and tonics in the VIP lounge. And if it’s really that great up there I’m positive that my granddad will be the bartender. I love you, Grandma. Jackson and I will talk about you every day. Oh Ben, I’m so so sorry to hear about your Grandma. How unfair life is but it’s wonderful how you will keep her memory alive with Jackson. If there is a heaven, I just hope my husband is entertaining them in the VIP lounge with his card tricks and magic. He was pretty good! There is a Heaven o’right! Other then finding beautiful comfort in the love letter called Bible , you should read Heaven is for real! Amazing book! There is a heaven o’right! Other then finding comfort in a beautiful love letter called Bible you should read book called Heaven is for real! Amazing book! So sorry for your loss. My dad always said he didn’t believe in heaven, but that he hoped he was proved wrong so he could be with my mom again- she died at 55- the love of his live until he died at 86. This entry was posted on July 8, 2013 by Ben Brooks-Dutton and tagged bereavement, confusion, death, Desreen Brooks, grandma, grandparents, life as a widower, lifeasawidower, loss, widower.